Friday night there was a Forms tournament. There were several rings running at the same time, and participants were divided up by rank, age-categories and gender (for adults). 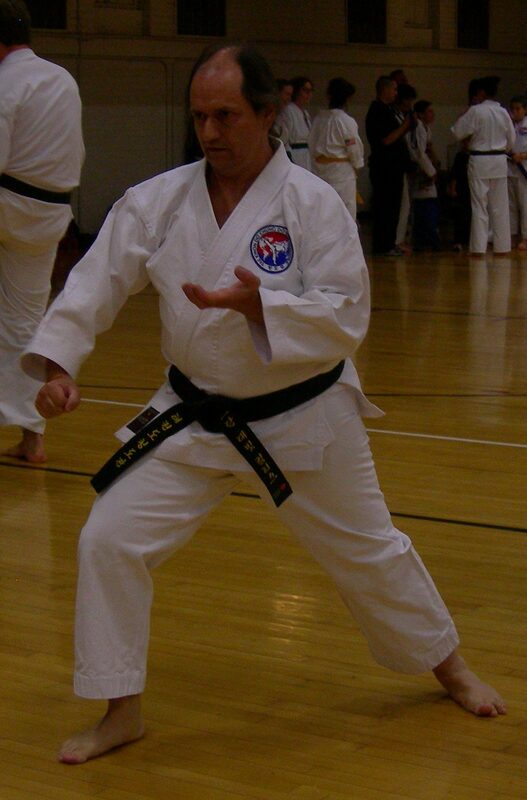 Here we show Mr Curtis as he practices his form in preparation for the competition. 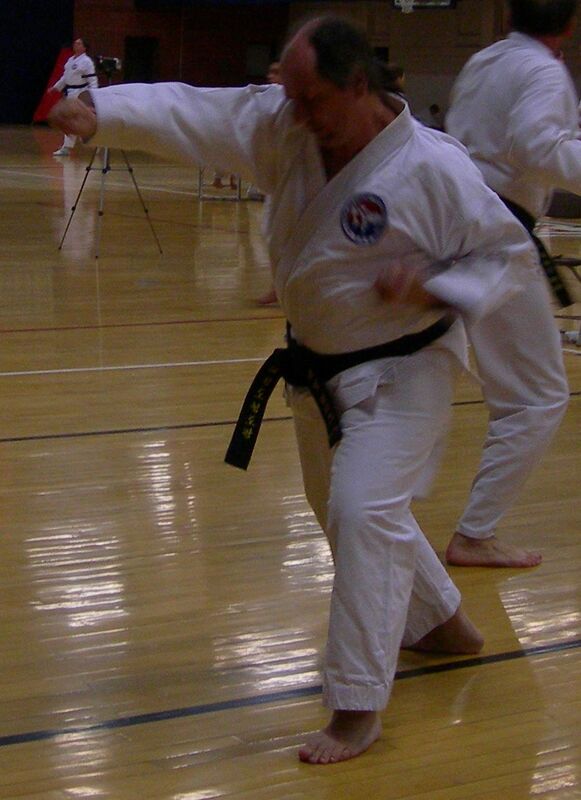 Mr Curtis was in the adult men (>40 years old) 1st and 2nd Degree Black Belt division. Friday night there was also a Sparring tournament. There were several rings running at the same time, and participants were divided up by rank, age-categories and gender (for adults). Here we show Mr Curtis in one of his matches. 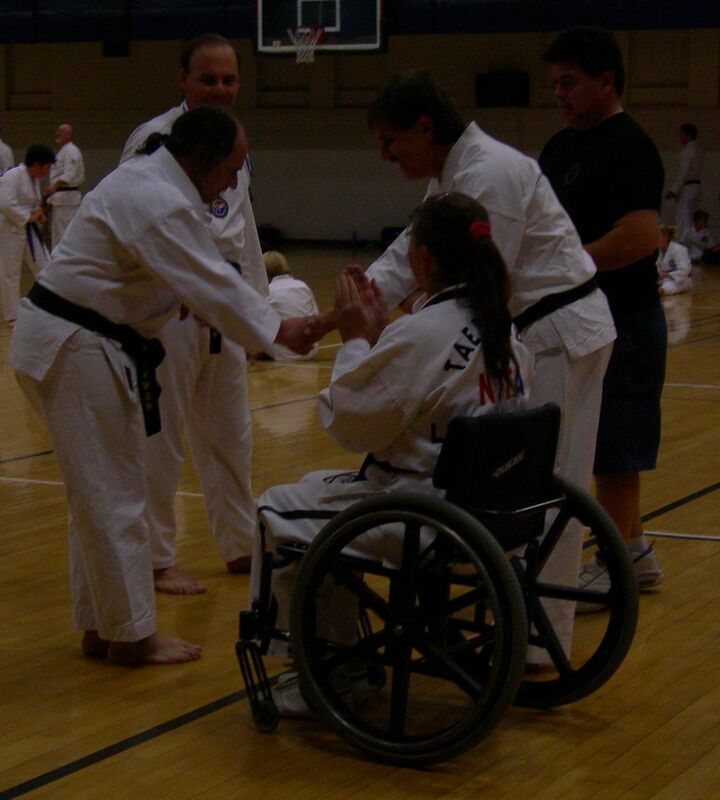 He was in the adult men (>40 years old) 1st and 2nd Degree Black Belt division. For safety, the rules of the tournament were no contact, with points only scoring to thr front of the trunk (below the neck, above the belt, back not allowed). Kicking techniques score 2 points and hand techniques score 1 point. Sweeping or take-downs not allowed. As part of Saturdays training everyone got a chance to practice breaking techniques with boards. Everyone got 5 boards they could practice with and could go around to different stations with experience high ranking black-belts that could help guide them in their techniques. Sandy completes her break -- good job Sandy!